The Assam government is contemplating to develop wildlife tourism circuits in Assam to popularize all the wildlife sanctuaries in the state along with the national parties, and plan to do this with the Assam tourism department and the Assam Tourism Development Corporation. 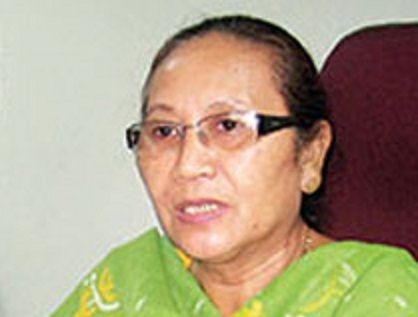 Speaking to NE NOW, Assam environment and forest minister, Pramila Rani Brahma said, all the five national parks in the state—Kaziranga, Manas, Dibru-Saikhowa, Nameri and Orang are always preferred location for tourists, and have always received good response. She further said there are many wildlife sanctuaries in the state as well, and if marketed strategically, those could also become tourist hubs for nature lovers. “Pobitora wildlife sanctuary is also a preferred location, and it receives huge attention being located close to the Guwahati city, but we also need to think about the other wildlife sanctuaries in other parts of the state,” the minister said. Brahma pointed out that there are 18 wildlife sanctuaries including the Deepar Beel bird sanctuary, and besides this two other sanctuaries– Bordoibam Bilmukh Bird sanctuary and North Karbi Anglong sanctuary could be given official sanction as bird sanctuaries. “We are thinking of developing these sanctuaries as prime tourism locations for wildlife lovers and want to develop a circuit for both domestic and international tourists, so that they could get to explore these destinations as well,” the minister said. Brahma further added that if these locations could be developed as prime tourist destinations, and could be included in the proposed circuits, opportunities of entrepreneurship will come up for local people, and that could help in wildlife conservation as well. “We are working on the idea, and we will be discussing it with the Assam tourism department to be able to give it a concrete shape. Once that is done, we will try to develop a solid proposal,” she said.